A sump pump is the best way to prevent costly flood damage in your crawl space or basement. GT Campbell Plumbing proudly offers professional sump pump installation in Victor NY and the surrounding areas, and we’re here to help you choose the right model for your home. From top-of-the-line models designed to be hardwired into your home’s electrical system to portable plug-in systems, we have solutions that are appropriate for every home and budget. Flooding problems in basements and crawl spaces can be prevented with sump pumps. When properly installed, a sump pump automatically kicks on and removes excess water from low-lying areas. Most systems even come with a battery backup that ensures that the pump will kick on even when the power is out. Sump pumps are submersible pumps that are installed in basements and crawl spaces. They’re typically installed in a pit in the lowest part of the home, and when water flows into the pit, it activates a float switch which turns on the pump. The pump then removes the excess water from the home. 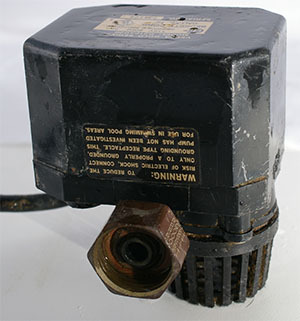 Most modern homes are built with sump pumps pre-installed, but many older homes don’t have pumps. Whether you have an existing pump that needs to be replaced or you’re looking to add a sump pump to your older home, we can help. For dependable sump pump installation in Victor NY, count on a expert plumber in Victor NY at GT Campbell Plumbing. From helping you decide on a model that is perfectly suited to your home and budget to professionally installing your new sump pump and taking care of routine maintenance, our technicians provide a full range of Victor sump pump services. We’ve been serving the decade for more than a decade, and we’d be happy to become the service provider you depend on! For sump pump service in Victor NY and several other plumbing services, please call now!